One of the more important announcements this year in the world of DRAM has been the march towards 16GB un-buffered modules. We saw last year Intelligent Memory launch some for DDR3, but due to other issues they only worked out-of-the-box on AMD and Atom platforms and were not widely available. At CES we saw Corsair place an interesting image on one of their displays, indicating that DDR4 modules at 16GB a piece were coming. Today, G.Skill formalises this with the announcement of a 128GB memory kit for X99. G.Skill has worked with Samsung in order to produce modules rated for DDR4-2800 at 16-16-16. These 8Gb ICs are produced at 20nm, and while the average user has little need for 128GB, X99 is aimed more at the prosumer market which can have exorbitant memory requirements – previously the only way to hit 128GB on a single socket was with RDIMMs and Xeon processors which have a substantial cost. 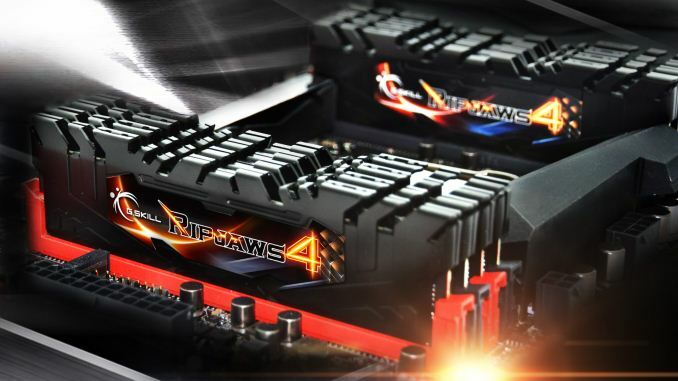 At this point in time, G.Skill is showing that DDR4-2800 with 128GB works with the ASUS X99 Rampage V Extreme, although the XMP profile should allow use on other motherboards. Personally I would suggest that X99 users ensure they have the latest BIOS update before installing these modules, should they have any additional sub-timing parameters needed. I would also expect that as other manufacturers get these modules in to test, validation lists and QVL will be updated. As this is an announcement rather than a launch, G.Skill hasn’t released pricing or a date yet. Based on previous experience this usually means we will have to wait between 2-6 weeks before they go on sale. It is worth noting that Computex is in early June, and thus a launch around that time might be expected. A current 8x8GB DDR4-2800 kit costs $790, so I wouldn't be surprised if this kit easily doubles that. We should start seeing slower kits at DDR4-2133 for less over the summer, if this announcement is anything to go by. Because they can. The market that is unhappy with 8GB/stick of 2GHz+ DDR3 is really, really slim. The only reason people are buying DDR4 is because they have to in order to run the X99 platform, they don't have a choice. There's no second hand market of people looking to double up either, basically they can sit back and watch the market sell their product. so they'd by the even cheaper lower speeds. 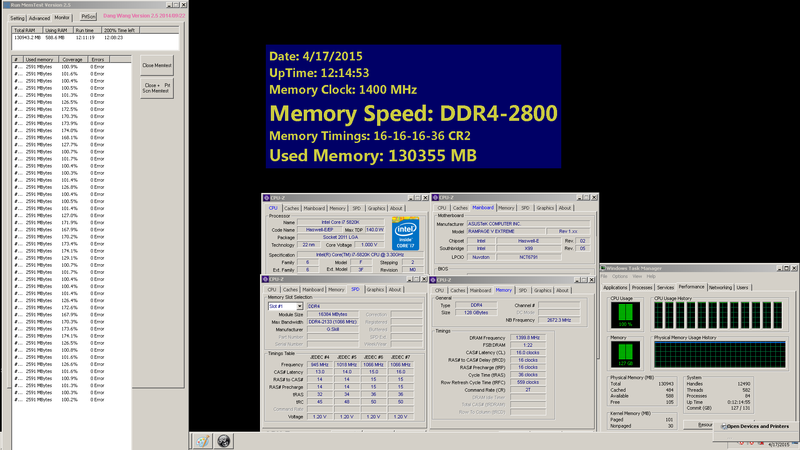 The cheapest DDR3 is much cheaper than the cheapest DDR4; that's the simple point.